Its a rainy morning in Toronto, and a few thunder storms kept a few Porter flights from landing, but not ours. 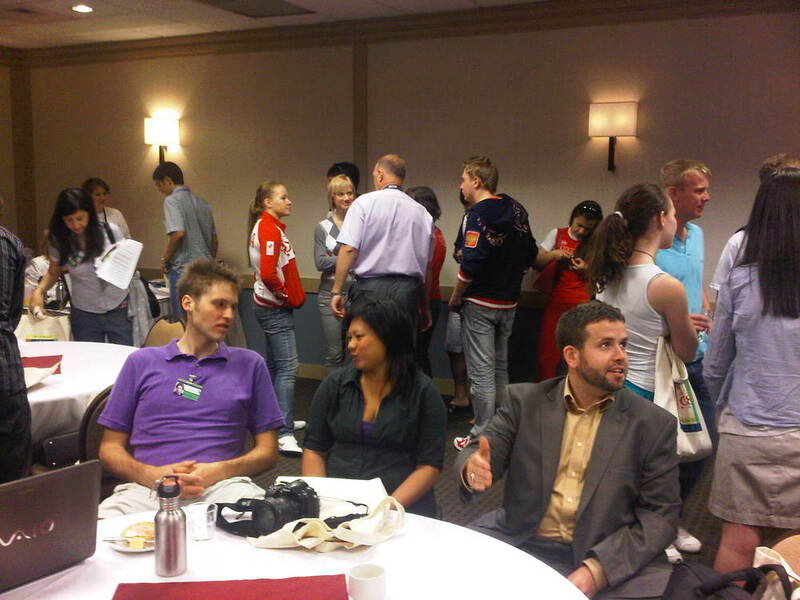 Van, Adam, and Antoine have arrived in the GTA to get ready to meet the incoming delegations for MY SUMMIT 2010. We are currently downtown getting ready to sit down with Jill to form the media strategy and put together a good plan to get you lots of updates on the action as it happens live from the G8 and G20 Summit. We got up early this morning and all was bright and sunny as we got ready to leave the Ottawa airport. A quick coffee and a stop on the plane and we were ready to go. OH, Alex, had a bit of bad luck his flight was cancelled and rescheduled so he'll be a tad bit late! But at JTC we roll with the punches! Youth from the Global Vision and Junior Team Canada, and delegates from several of the G8 and G20 countries participated in a run with Marathon winner Mr. Paul Tergat. Mr. Tergat is a World Food program celebrity Ambassador who will be addressing the issues surrounding Food Security as a Keynote Speaker at dinner tonight. His speech will help to inform the Youth Delegates and provide them with some background information and understanding surrounding the issues faced by many people the world around.